Each of the sixteen Myers-Briggs types is unique and different. Some types are outgoing and gregarious, while others treasure their privacy. Some are serious and others are fun-loving. Some are warm and giving and others are cool-headed and objective. A few of the types have similar descriptions. That’s because they have several traits in common. 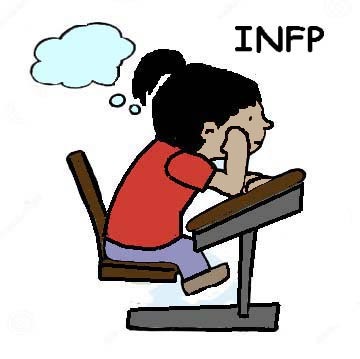 For example, the INFP is much like the INFJ because each is introverted (I), intuitive (N), and Feeling (F). They differ only in the Perceiving vs. Judging traits. When under stress, each type has the tendency to overuse its strengths to the point where they sabotage their ability to cope. An example is the Introverted type. The person tends to withdraw when stressed out, avoiding the company of others. When this trait is carried to the extreme, the person becomes isolated and no longer enjoys feedback and support. For ISTJs, one way of losing out is to immerse themselves in too much detail. They may become so fixated on rules and minute details that they forget the overall meaning of an activity. A mother supervising a child’s birthday party may be so obsessed with a game and its rules that she forgets the purpose of the game—to have fun. In this way, she only communicates her stress to the children and no one has a good time. By focusing on the details of the game, she forgets the larger issue: fun. In their effort to get the job done, ISTJs may overlook such niceties as “please” and “thank you.” By neglecting to make direct personal comments, they fail to show their appreciation to others. Under stress, ISTJs may ignore the long-term implications of a project in favor of day-to-day realities. Because of their tendency to focus on short-term goals, they may lose sight of the overall purpose of their work. They rely too much on the standard way of doing things and neglect innovation, which is sometimes critical in this changing world. They also see errors more readily than successes, resulting in a doom-and-gloom attitude toward work. ISTJs sometimes have difficulty recognizing their own emotions and values. As a result, they may be seen as insensitive and cold. As the stress from work situations heightens, so does the likelihood that ISTJs will explode, doing no one much good. Like all Myers-Briggs types, ISTPs under stress act in ways that depart from their usual style. One of their problems is finding shortcuts when a project seems too long and difficult. By taking the easy way out, they can jeopardize successful completion, which makes them appear indifferent and unmotivated. When working on parts of a project that they enjoy, their work is usually competent and satisfactory. It’s the parts that frustrate or bore them that get them in trouble. If a homeowner is cultivating both a vegetable and flower garden behind the house, weeding the vegetable patmay be a much less gratifying job than tending the flowers. Later in the summer the family complains that they have fewer fresh vegetables than they expected, although the flower garden is lovely. ISTPs may lose out when they keep important information to themselves, failing to inform others. When they do share they may focus on the faults and problems of the issue in question. As a result, others find themselves operating on incomplete information. Because ISTPs are oriented to collecting new facts, they can get overwhelmed by all the information they have dug up. As a result, they may put off decision-making in order to keep their options open. This may give them the appearance of being indecisive and incompetent. Finally, ISTPs may find themselves in trouble when they fail to complete old projects and instead move on to new ones. They sometimes have difficulty with perseverance and the ability to stay with undertakings until they have finished them. A boy who makes model airplanes loves having the final products but leaves many of the planes unfinished because the work gets too complex. His parents are disappointed that they’ve paid for so many kits and their son has so few completed airplanes to show. One way ISFJs can lose out is by paying too much attention to the present status of problems and failing to seek options for a satisfactory solution. They can see the present clearly but not the possibilities for the future. Thus, they may get stuck in ruts and unable to find a way out. They focus on past negative experiences and apply them to the present problem. If, for example, the car is making a strange noise, they may remember a time when they threw a rod on an old automobile and assume that the same disastrous breakdown is about the occur, when actually a broken fan belt may be the only problem. ISFJs attend to plan excessively. They want things to go a certain way and become discouraged if they turn out to be wrong. If things proceed satisfactorily, they may waste time looking for another potential problem. For example, they may get to an outdoor concert an hour in advance to find a good seat, and then, while they are waiting, worry about the chances of rain. ISFJs may feel undervalued by others as a result of their quiet, self-effacing style. This may cause them to lose confidence when presenting their ideas in a group. They tend to minimize their own importance and contributions to an organization, so that everyone takes them for granted. They view their contributions as simply “doing their duty.” An employee presenting the progress of his project before a committee may minimizing her own contribution so no one realizes that she was instrumental in its success. 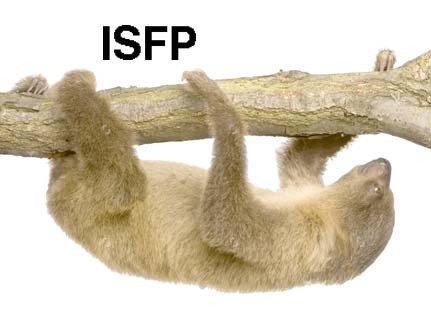 In times of stress, ISFPs may overlook their own needs. Because they see others’ needs so clearly and they’re motivated to serve them, they may ignore their own requirements. When a loved one is in the hospital with a serious condition, the ISFP is likely to put all his or her concerns aside in favor of staying with the loved one, keeping the spirits up of the rest of the family, and so on. If the hospitalization lasts long enough, the ISFP may get worn down and lose his or her positive attitude—becoming snappish and unhelpful. ISFPs tend to accept the statements and opinions of others as valid. They are often gullible. Strong, manipulative, persuasive people may find them easy prey. Rather than buy into the views of others without question, ISFPs need to develop a more skeptical attitude and ways to analyze the words and actions of others more realistically. Failing to appreciate their own contributions and accomplishments is another way ISFPs can lose out under stress. Because they are gentle types who focus internally, they suffer from self-criticism—which may not be apparent to the outside world. Without outside support from trusted friends and coworkers, their thoughts become negative and destructive. They need to appreciate their contributions more, although this may be difficult given their habitual modesty. Under stress, INFJs can lose contact with some of the unpleasant realities of life. They focus mainly on their idealist vision of how things should be, ignoring reality when it contradicts their views. Because of their single-minded, persistent view of how things should be, they don’t know when to cut their losses and move on. They may need help from supportive friends and coworkers in learning how to relax and let go of futile dreams. Another way INFJs lose out is when they fail to act assertively and don’t share important ideas and insights with others. Because of their reluctance to intrude, many of their ideas are overlooked or underestimated. People who might have been able to support them have their hands tied because they were never included in the INFJ’s thinking process. Another way INFJs can lose out is by focusing on facts that aren’t relevant to the situation at hand. They need to focus on which details are important and which aren’t. A female INFJ getting the house ready for a big party might find herself obsessing over everything. If, for example, she can’t find her embroidered guest towels she may enter a state of “melt down” until someone points out to her that no one ever uses them anyhow. The stress of her big party has made her temporarily unreasonable, prey to her drive for perfection. INFJs hold their criticisms inside longer than they should because of their belief in the old saying, “If you can’t say something nice, don’t say anything at all.” When the pressure mounts and their objections are stifled long enough, they can blow up. Trusted colleagues can help them focus on the overall concept in question and retreat from an attitude of blaming to one of acceptance and understanding. One way that INFPs can lose out when under stress is by focusing on their dreams so intently that they’re blind to others’ points of view. They fail to adjust their unrealistic vision to the facts of reality. If they’re extremely out of touch, people might view them as almost mystical. An INFP who believe he has the solution to world problems can be brought back to Earth by questions regarding individual actions that can contribute to the goal. Another problem for the INFP under stress is that they try to please too many people at once. They never refuse any one, with the result that they’re often overtaxed, sometimes to the point of being resentful. They also dislike conflict and will go to some lengths to avoid it. It’s not uncommon for them to give people the impression that they agree about an issue, when actually they are dead set against it. They need to get more tough-minded and assertive, learning how to give negative feedback tactfully but firmly. INFPs may delay finishing projects because they’re holding out for a perfection that simply isn’t possible. They postpone action by focusing inward instead of reaching for resources outside themselves. Outside support can encourage them but also give realistic feedback concerning a project. Nothing has to be perfect. Something to start with is better than nothing at all. An employee preparing a brochure for his company may try to do the proofreading, graphics and layout to perfection when there are other professionals available to do these jobs. As a result, the project may be late, much to the annoyance of his supervisors. Finally, INFPs, although generally modest and gentle, can become overly critical about everything that bothers them. Everyone around them seems irresponsible and incompetent, as the result of the INFPs internal feelings of stress. They lose the ability to see the situation logically, step back, and let their natural appreciation come forward. A man throwing a party for his business associates may find himself criticizing what his wife is wearing, how the table is set, the noise the children are making, and other bothersome details when the real culprit is his own anxiety. Some INTJs have trouble letting go of their expectations when they aren’t based on facts or current reality. They imagine they have the ability to predict the future—when they don’t. Their impractical ideas and goals may be so impractical that the INTJs seem to be living in a dream. Sometimes they’re so private about their vision that they fail to communicate with other people who will be affected by it or are necessary to make it happen. They need to learn when to give up on unrealistic dreams and solicit the input of others to help get them back on track. An employee planning a going-away party for a co-worker may try doing everything herself—the announcements, music, refreshments, etc.—instead of enlisting the help of others in the company who have the expertise she needs. As a result, the party may come off as a half-finished affair. Some INTJs have a certain model or way of living that they approve of and then criticize those who don’t fit the model. For example, people who are Democrats may be so fixated on their line of thinking that they can hardly make themselves speak to a Republican. They find it difficult to tolerate choices that don’t conform to their own. They need to filter out the single characteristic that offends them and focus on the person’s general merit, of which they may actually approve. INTJs can also lose out by focusing on unimportant details. Their need to control all possible outcomes prevents them from attending to what’s really necessary. If they have bought their son a new suit to wear for special family events, they may not be satisfied until the pants are lengthened (or shortened) one quarter of an inch and they’ve found the perfect tie to go with the suit. The son could care less about a suit he doesn’t want to wear anyhow, so his parents’ perfectionism is wasted. They could have spared themselves the nagging over the issue of the dress suit. INTJs may ignore the impact of their style on others. With their impersonal, independent approach to life, they think that others function best in the same kind of environment. Others may see them as detached, inflexible and logical—so much so that they’re afraid to approach the INTJ. When they find out that their style is alienating others, many are surprised. They need to learn to foster their relationships and make sure they show appreciation others. Because of their tendency to focus on the shortcomings of others, INTPs may be perceived as negative and arrogant. They may appear to be aloof and fault-finding and are surprised when they’re not liked by others. The man whose spouse has just come home with a new dress and is asked his opinion may say something like, “It’s all right but I think the hemline is a little high.” He may have made this remark with the best of intentions, wanting only to be helpful, but his partner thinks he finds nothing attractive about the dress (because he didn’t say so) or he objects to her showing so much leg. She takes his comment personally and feels criticized and unappreciated. Another way the INTP can lose out if by focusing on the small inconsistencies in a project or plan. They may even prevent the project from moving forward because they stall progressing one small step. They need to learn when to let go of trivial details that are of little consequence. 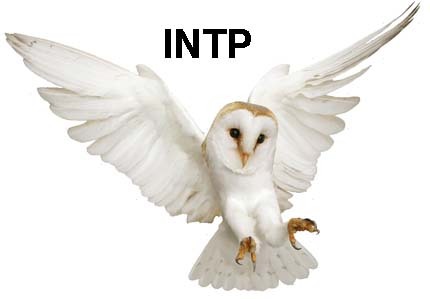 To others, this tendency may lead them to believe that the INTP suffers from convoluted opinions outside the understanding of ordinary people. A woman preparing wedding invitations for her daughter may become so focused on the font used in the announcement none of the printer’s efforts please her. 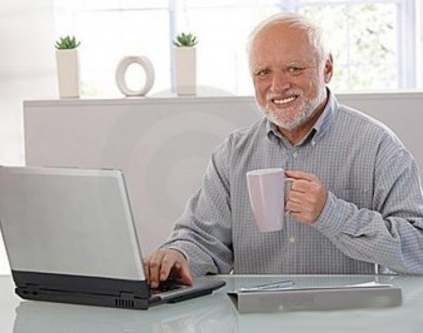 As a result, the project is late and the guests have very short notice. INTPs can be their own worst critics as they hamstring themselves looking for the exact way to present their ideas perfectly. They can’t listen to praise because they know they could have done so much better. Focusing on their own flaws without outside support can even end up making them depressed. They need to discuss their feelings with other people who can provide more realistic, candid opinion. Because INTPs are usually so conservative and quiet, their emotions—the least accessible part of themselves—can stay bottled up until the pressure is too great. Then they may explode in an unmanageable outburst and appear hypersensitive. Bystanders can be so overwhelmed by this unexpected display of feelings that they come to regard the INTP as unstable. INTPs are especially susceptible when they can’t identify an objective cause for their emotions, which shouldn’t be disregarded simply because they seem illogical. Exploration of the emotions with a trusted supporter can pave the way to potential areas for growth. When these introverts get back on track, they can be enjoyable to work and live with and tireless in following through on their commitments. By keeping their Myers-Briggs traits in a healthy balance, they can make the best of their work, leisure, and relationships. A 14-year study of thousands of Americans in various careers shows that different Myers-Biggs types have different preferences and skills relating to the jobs they take. When the data were analyzed at the end of the 14 years, researchers found that people of various Myers-Briggs categories most often held the following jobs listed below. The study data do not indicate which careers are best for certain types. The information simply reflects what jobs people were holding at the time the study was in progress. It serves mainly to provide helpful information about the demands of each career. When evaluating potential careers, it’s best to consider how your preferences relate to the demands of certain professions. Every career uses some of each of the eight preferences. Jobs that involve mainly working with others are better for Extraverts, especially if they involve selling, persuading, and motivating. 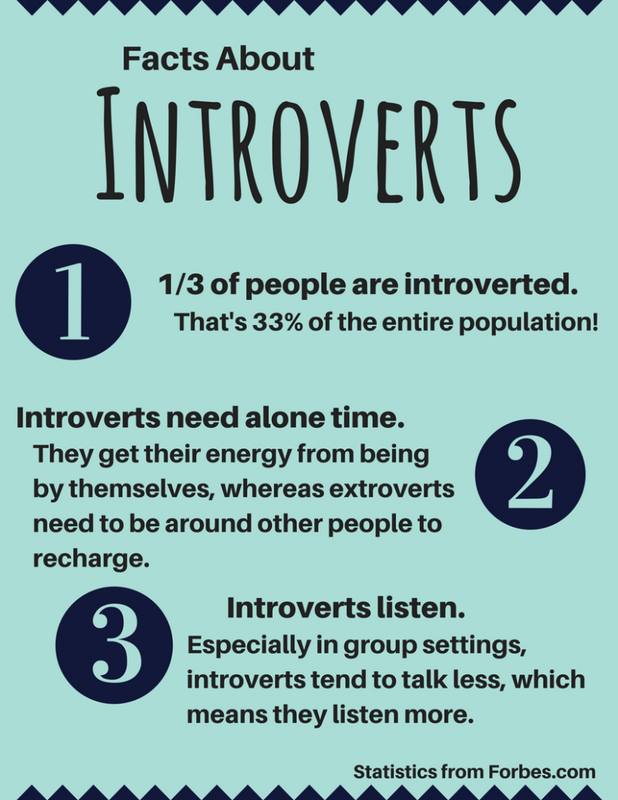 While Introverts are often capable of doing these things, too, they may find themselves drained by the constant interaction with others. A hands-on profession appealing to Sensing types is one where “doing” and “bottom line” are the main goals, as in accounting, trial law, and civil engineering. Jobs with short-term, measurable objectives are more attractive to them. In contrast, jobs that require foresight and planning are better suited to Intuitives. Examples are architectural engineering, teaching law (professors), and financial planning. Thinking jobs are attractive to those concerned mainly with logic and objectivity. They don’t want to be embroiled in personal relationships or human welfare decisions. Careers in the Thinking category include stockbrokers, high-tech research, and military positions. Feelers are attracted to careers involving interpersonal dynamics, such as the clergy, counselors, teachers, and nurses, among others. Judging types do best in careers that require scheduling and established procedures—everything from bus driving to orthopedic surgery. Jobs that are more open-ended, requiring flexibility and ability to adjust, include journalism, strategic planning and entrepreneurial endeavors. When you consider your own type, such as ISFP, the key is not to choose a career that theoretically belongs on a list, but rather to consider the various facets of your type and how they relate to the job possibilities. 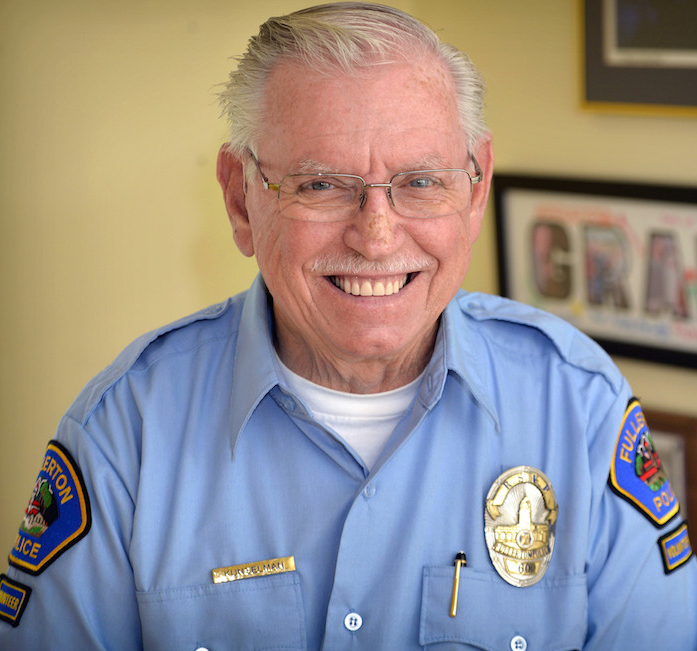 A bus driver who travels a short downtown route every day is different from a bus driver transporting senior citizens through the city and acting as their tour guide. The goal is to find a career that fits your preferences rather than force yourself into a job that theoretically suits your type. The better the personal fit, the less job stress and the more satisfaction you’ll experience in the long run. If you have an opportunity to practice law you might find that the job in question involves representing low-income clients, about whom you feel personal concern. if you’re an INFP you may be tempted to rule out the possibility because the career is not on the master list. Yet the job may be a perfect fit for your type, with its tendency toward compassion and flexibility. As people grow older, their Myers-Briggs personality scores can change, but not much. Those whose scores were extreme on one or more traits tend to soften and move toward the middle. The ISTJ who had a strong thinking (T) score is likely to move a little toward Feeling, with stronger emotional elements in their personality than previously. 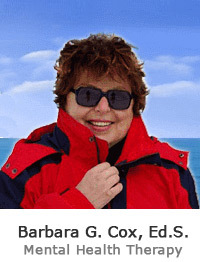 This blog describes the eight Introverted (I) types in their retirement years. Every combination of traits is represented, making eight in all—Sensing (S) vs Intuition (N), Thinking (T) vs. Feeling (F), and Perceiving (P) vs. Judging (J). Because ISTJs have been responsible, loyal employees all their lives, they’re likely to be enjoy corresponding financial rewards. Thus, most of them enter retirement with investments in place and can look forward to having enough money through the years ahead. Their habits of taking responsibility never end, either in the home or in the community. The main thing is, they get the chance to enjoy hobbies, relationships, and time with friends and family that formerly were unrealistic because of all their work commitments. For ISTPs, retirement is a time they’ve long looked forward to. In their working lives, there was never opportunity to pursue all their hobbies and other pursuits. A few postpone retirement if they get a great deal of satisfaction from their paid employment. Many have volunteer “careers,” which support their strong work ethic. Whatever ISTPs take up to pass the time, their absorption is so complete that they often forget to attend to mundane matters such as eating meals or meeting commitments they’ve made to friends and family. ISFJs have usually done retirement planning in advance. 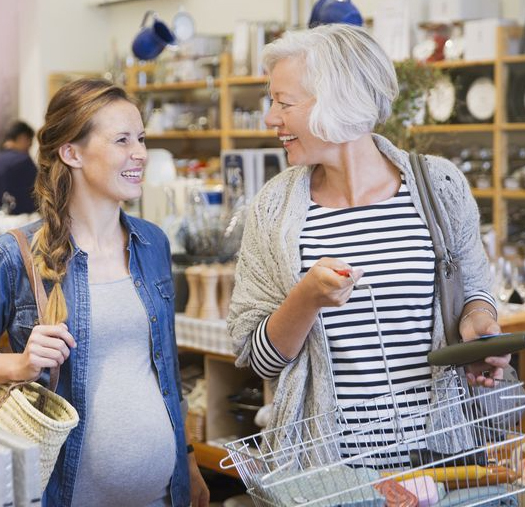 Since they’ve made a habit of saving money most of their adult lives, it’s likely that they have enough to carry them through the years ahead without paychecks. 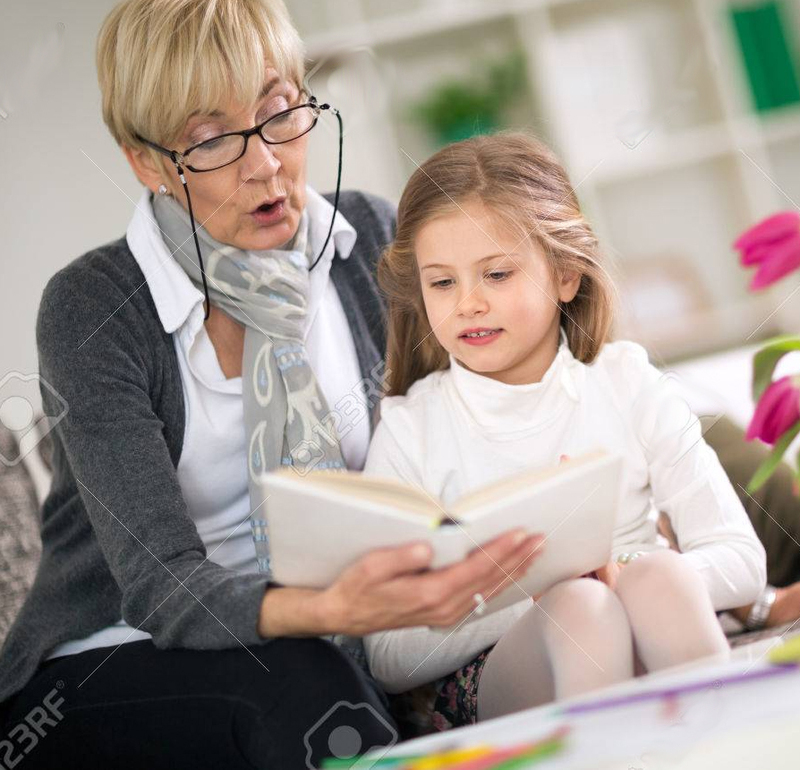 During the years of retirement, ISFJs mostly focus on their children and families, taking part in their lives and helping out wherever they can. They enjoy customs and projects that emphasize the family heritage. Service work continues to be an important theme for them. ISFPs continue to enjoy their friends and families. In their last years of employment, they look forward to retirement and spending more time with the people close to them. 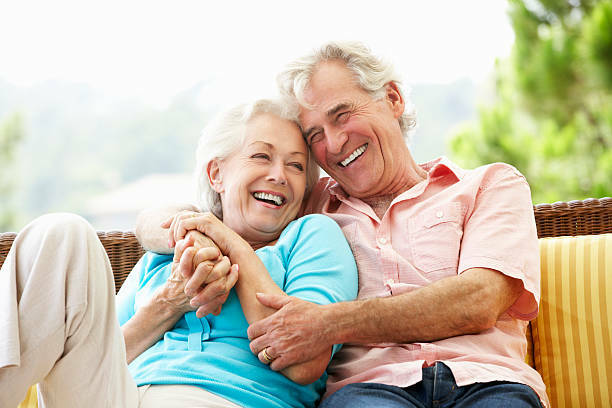 In retirement, ISFPs often find that they are loved and valued by the people who know them well. It’s a welcome time for them to enjoy the fruits of many well-tended relationships. They take pleasure in the simple activities of life—gardening, walking, reading, and so on. 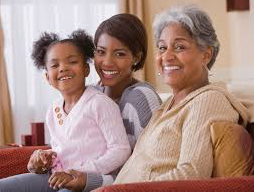 When grandchildren are being difficult they deal with them in a smooth, friendly, and encouraging way. Because of their idealism and commitment to whatever career they’ve chosen, INFJs are likely to enjoy important positions of responsibilities by the time they retire. Financially, they may find their incomes and reserves in good shape without any previous careful strategic planning. They look forward to nurturing family relationships in the years ahead and seeing the foundations they have built for themselves to flourish. They treasure the increased leisure time to reflect and pursue their hobbies without interruption. They can also become further involved in interests they’ve developed but haven’t had much time for, such as writing. INFPs in retirement need to look back and feel that their years of employment were worthwhile and had value for the people around them. It’s a time of life when they look forward to a variety of activities, such as travel. 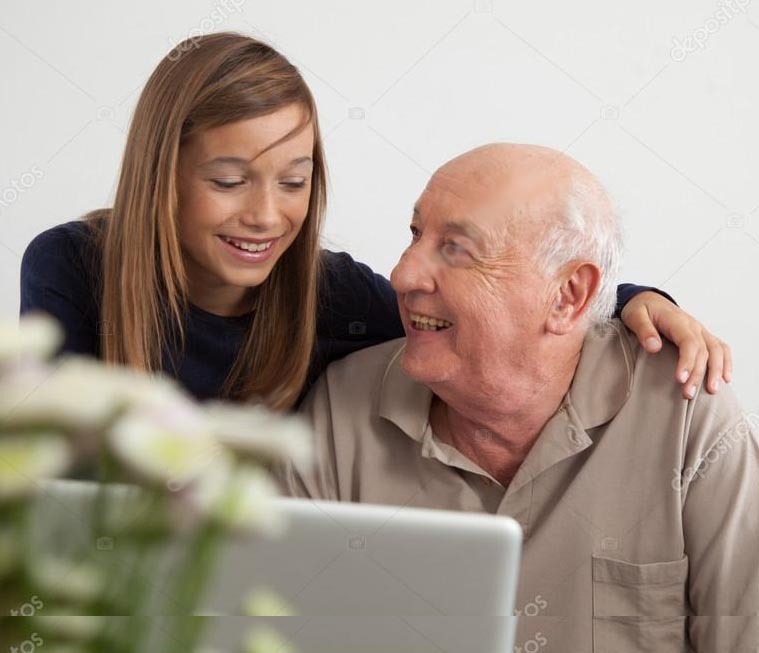 They may also strengthen their bond with family members and enjoy the opportunity to spend more leisure hours with them. 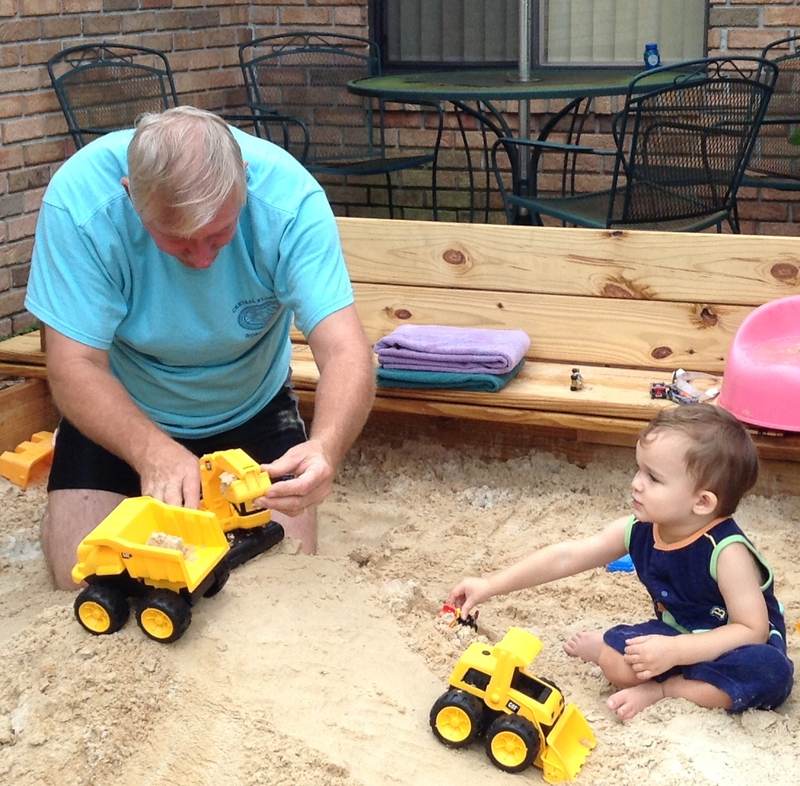 Some grandparents enjoy special projects designed just for their grandchildren, such as writing stories about them, building a sandbox, and so on. The life of the mind is always important to INTJs, during their years of employment and beyond. 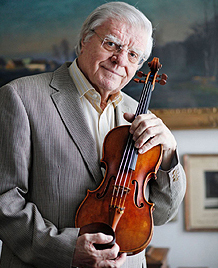 Some are so involved in their work that they don’t leave their jobs at age 65. If circumstances permit, they stay on, doing the same activities that engrossed them over the years. They have no time for frivolous pastimes or frivolous people. Scientists and others often continue to attend meetings relevant to their work and stay in touch with colleagues. 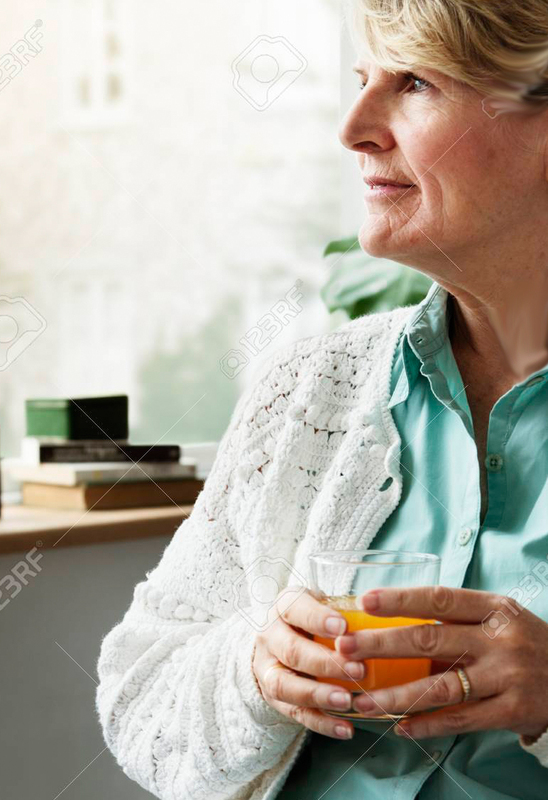 INTJs with clear focus but few opportunities to socialize on the job may get lonely during retirement if they haven’t nurtured relationships with people who stimulate them. As INTPs mature, they continue their quest for logical purity. Their hobbies reflect their intensity and purposefulness. 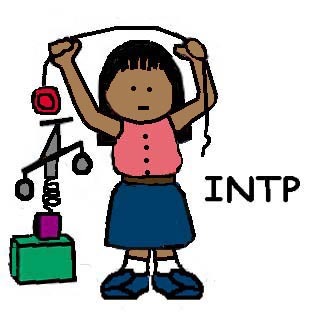 Each hobby is thoroughly explored and its nuances worked out before the INTP moves on to the next activity. They are strongly cerebral, so whatever they do is matched by deep concentration and much thought. While their external world may have changed, their minds remain the same. Just because they no longer go to work doesn’t mean that their minds aren’t busy. Some onlookers may find that the INTP changes very little upon moving into retirement. They often continue activities that were previously important to them. If you’re an INFJ, you may find yourself drawn to ISTPs. They’re quietly competent, people of few words who make every utterance worth listening to. They pay attention. They have emotional control. How refreshing! INFJs and ISTPs have very different personalities. The only trait they have in common is introversion (I). Because both are private people, they prefer thinking about things to talking about them. They’re quiet, but their minds are always busy. What about the other traits? 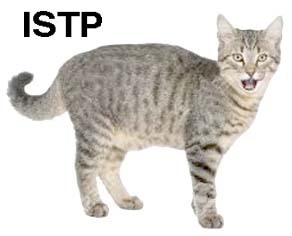 First, ISTPs, being sensing (S) types, are matter-of-fact and observant of what’s going on around them. Intuitive INFJs, being more creative and less down-to-earth, are often unaware of details. They lose things like cell phones and credit cards frequently. Second, the ISTP, a thinking type (T), makes decisions based on the facts and logic of a situation, not emotional nuances. If they’re paying to have a job done and the work is shoddy, the INFJ may worry about confronting the worker and hurting his or her feelings. The ISTP is more objective. The job isn’t satisfactory and the worker must be told. Finally, perceiving (P) ISTPs avoid final decisions and are more comfortable when things are left open-ended. They’re casual about appointments and deadlines. They can undertake two or three projects at a time. INFJs do only one thing at a time, and they’re punctual and deadline-oriented. With their preference for judging (J), they like to see decisions made and situations brought to closure. While INFJs and ISTPs may have philosophical differences, they can complement each other in practical ways as friends. Unlike INFJs, ISTPs generally have good eye-hand coordination and understand how things work. Faced with a car repair, for example, the INFJ can usually rely on an ISTP friend to figure out what’s wrong with the vehicle before making a deal with a mechanic. ISTPs are unlikely to be fooled by mechanics or other fixers of things. They may even be able to repair the car themselves. Because they rely on their sensing preference more than their intuition, they think problems through while working on them. Unlike INFJs, they’re not interested in theories. When a friendship between these two types runs aground, it’s usually because of conflicts in thinking and feeling. ISTPs make decisions based on facts father than feelings and values. This impersonal approach gives them a tendency to be unaware of the reactions of others to the things they do. They may not even be clear about their own emotions. Although INFJs do examine the facts, they’re more likely to be concerned with the impact of their decisions on others. Because of this difference, the ISTP can offend the INFJs without meaning to. 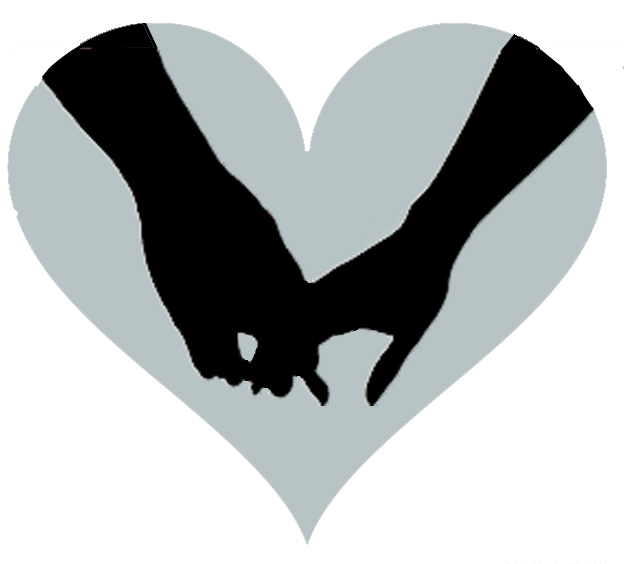 When ISTPs are looking for romance they seek partners who give them freedom to follow their own interests or, better yet, share these interests. An ISTP who loves camping may persuade an INFJ of the fun of sleeping in a tent. If the INFJ shows some enthusiasm, the ISTP may acquaint the person details about types of tents, sleeping bags, and cooking equipment. Before long, the two are likely to find themselves planning a trip to the nearest state park for a weekend. If one partner decides to leave the other, the rejected ISTP is quiet about his or her suffering. ISTPs don’t give up easily on their relationships unless the facts make it obvious that the partnership won’t work out. A rejected INFJ may take longer to recover from a broken romance and be reluctant to take the risk to move on. When an INFJ and ISTP decide to make their relationship permanent and live together, they usually find that it takes effort and patience to preserve the bond that they enjoyed initially. To avoid unnecessary friction, the two must respect each other’s ways of thinking and feeling. The ISTP should try to understand the INFJs need for emotional support. For this to happen, usually the INFJ must explain his or her needs to the ISTP and make suggestions for meeting them. At the same time, INFJs shouldn’t expect ISTPs to be their sole source of emotional support. They need to cultivate a few friends who can empathize with their feelings. It’s a good idea to spread dependency needs around. A well-matched pair of INFJs and ISTJs can complement each other in ways that benefit them both. The INFJ can appreciate the ISTP’s ability to enjoy the details of life without over-thinking, as INFJs tend to do. ISTPs have an uncomplicated way of viewing the world. This can be a relief to the complex INFJ for whom very little is easy. The ISTP’s life is enriched by the creative, witty INFJ who is usually a pleasure to be around. If your baby comes home from the hospital quiet and easy-going, will the peace last? What about the toddler who enjoys nothing more than turning the pages of a book, while another is scaling every surface in sight? Will their personalities change over the years? 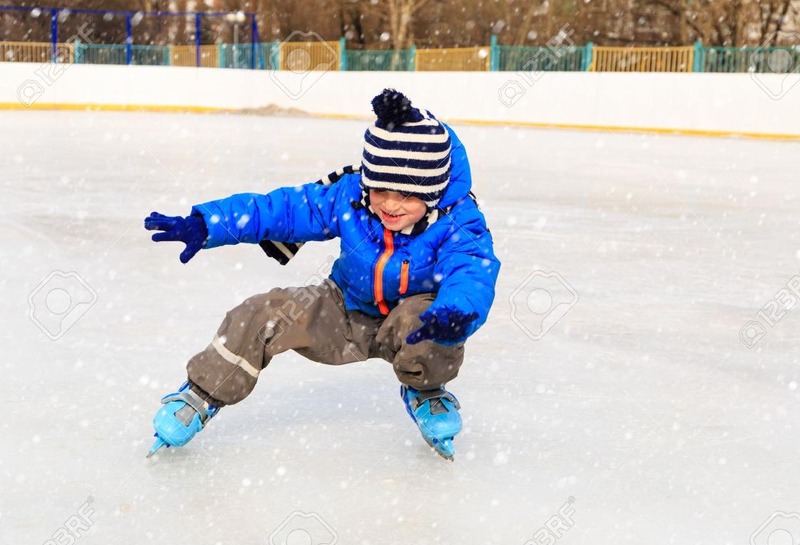 Parents who dreamed of their child becoming a celebrated athlete may be disappointed when he or she prefers staying inside taking a clock apart to playing outdoors with friends. Parents hoping for a Rhodes scholar may be let down when their child would rather climb trees than read books. 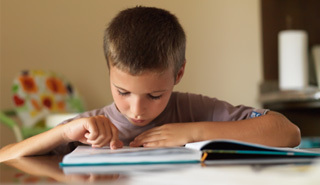 Many experts believe that Myers-Briggs personality tests are unreliable in children. Others claim that infants have their basic personalities in place from the time they take their first breath. Personality scores may shift over the years, but they rarely make an about face. This is about introverted (I) children. There are eight types of introverts according to Myers-Briggs theory. They differ in the combinations of the other three pairs of traits on the personality test: 1) sensing (S) and intuition (N); 2) feeling (F) and thinking (T); and 3) perceiving (P) and judging (J). The scores on four pairs range from one extreme to another, with some close to the middle. As children, ISFJs are generally well behaved. They’re little trouble to their parents and teachers. They want to know what’s expected of then, and they quietly follow through. Even when asked to make sacrifices, ISFJ kids take pride doing the right thing. In school, they stick with a few close friends and avoid conflict. 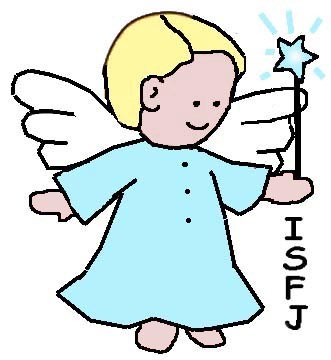 Because ISFJ children try to be certain about their duties, they tend to do only what they’re told. With their inward focus, they have a tendency to worry about things. For this reason, they may perform below their potential. They need encouragement to stretch themselves. 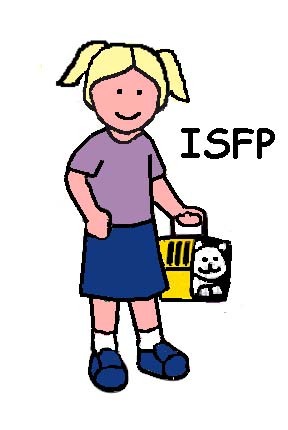 ISFP kids are quiet and kind. Because they avoid the spotlight, their many gifts may be overlooked. They are compassionate not only with other people, but also with animals—and indeed with all living things. They’re easy to like and attract other kids as friends. When arguments arise, they act as peacemakers. 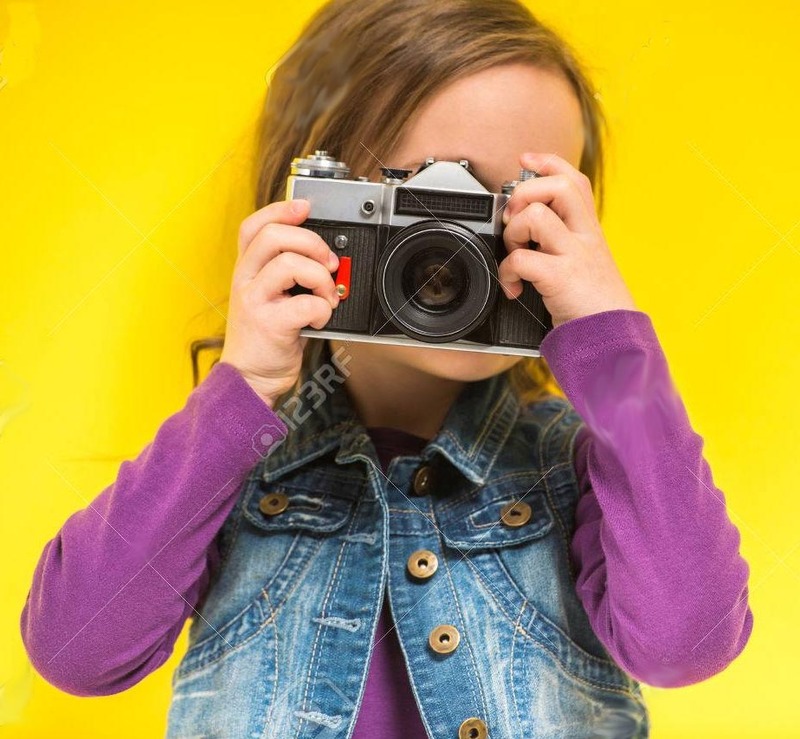 ISFP children appreciate beauty, often making unique gifts for others that are colorful and beautiful. They enjoy the feeling of their bodies in motion—skating, dancing, and simply moving gracefully. INFJs are complex, even as young children. While they can be outgoing at times and involved with other kids, they’re also quiet and creative, caught up in their private worlds. They’re gentle and dislike violence and cruelty, whether in games or in real life. 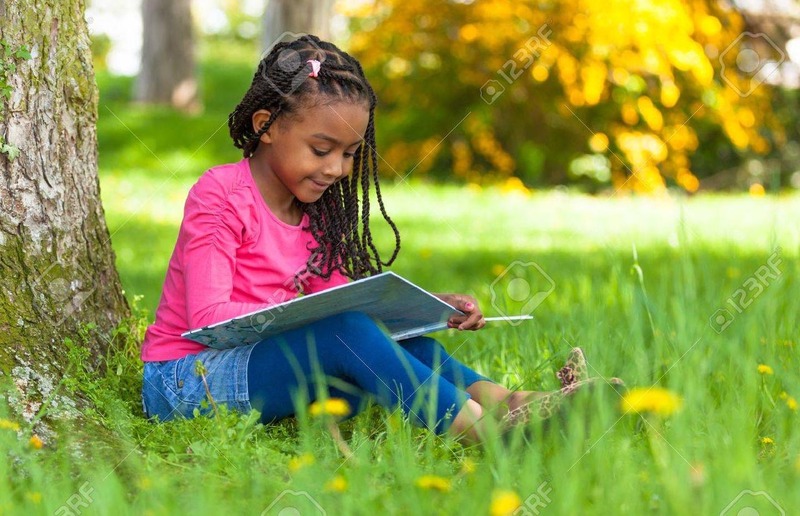 It’s not uncommon for INFJ children to make frequent trips to the library, bringing home many books at a time and spending hours in their rooms reading. The next day, they’re outdoors having adventures with friends. 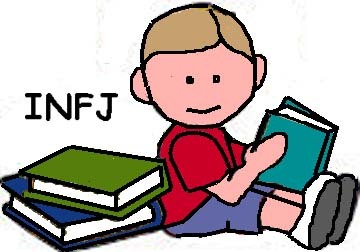 INFJ kids can be a challenge to parents who find their inconsistency hard to understand. 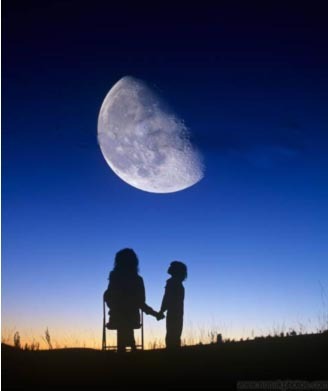 INFP children are daydreamers, creating their own fantasy worlds. They are quiet, especially in new situations. Sometimes their parents worry whether they’re sufficiently grounded in reality. These kids enjoy getting lost in books. They learn to write at an early age. 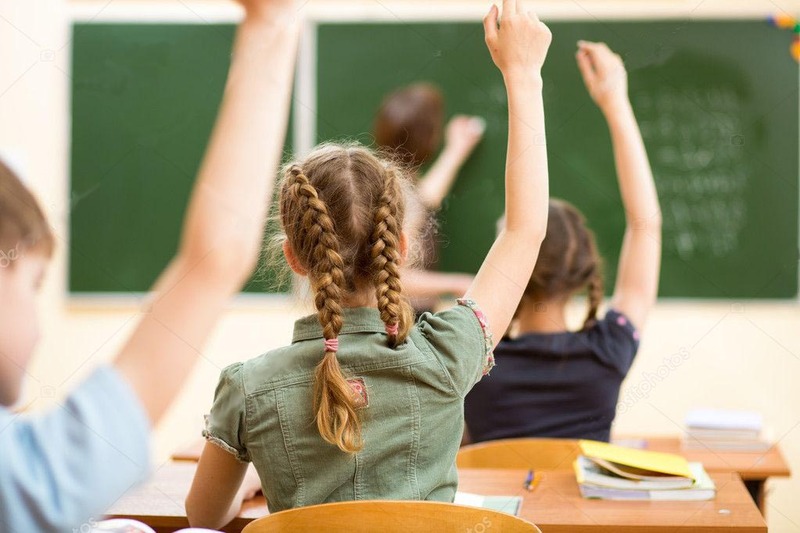 Before INFPs even start school, they know what’s important to them. They sense where they’re headed and seldom ask for guidance. They’d rather do things for themselves than get help—to be sure they’re done right. They’re often careful not to reveal their mistakes to others. INFP children benefit from gentle handling and understanding. 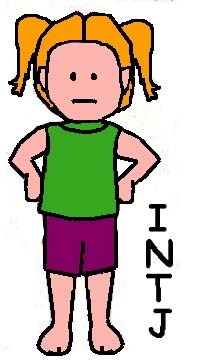 The independent natures of INTJ children are apparent early in life. They like to daydream and get caught up in ideas of how the world should be. They can be rebellious when told things that contradict what they believe. INTJs make their own rules and boundaries. The life of the mind is important to INTJs, so they value their education. They‘re creative and innovative, finding their own efficient ways of doing and making things. These children can be a challenge to parents who would prefer easy-going, compliant children. As children, INTPs often enjoy their own thoughts more than the company of other kids. They generally read a lot, going out to play only when invited. INTPs are full of questions, many times challenging parents and teachers with their observations. More than most children, INTPs enjoy inventing things and finding unusual pastimes not typical of kids their age. INTP tastes are not dictated by popular trends. When these children disagree with conventional ideas, they’re quick to find fault in people’s logic, no matter how important the person. Some parents are baffled by the complexity of children who seem to have such a rich inner life. 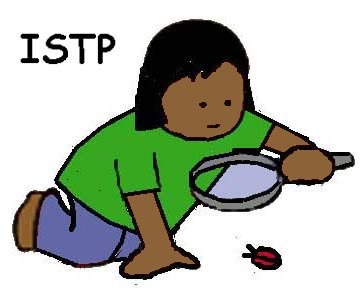 ISTP children have two sides—one that observes the world and one that takes action. The observer likes to sit quietly and watch what’s going on, absorbing all the details. These kids want to know what make things tick, taking them apart to see how they work. Children of this type who play outdoors a lot are frequently experts on bugs, snakes, and other wildlife. Usually, ISTPs are good with their hands and can fix things. They aren’t afraid to take risks with such sports as rock-climbing and backpacking. Parents who enjoy quiet children will find much to treasure in the ISTP. 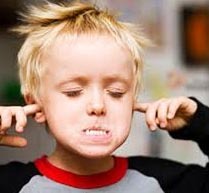 As children, ISTJs are well behaved and quiet. They function best in an environment that’s ordered and structured. 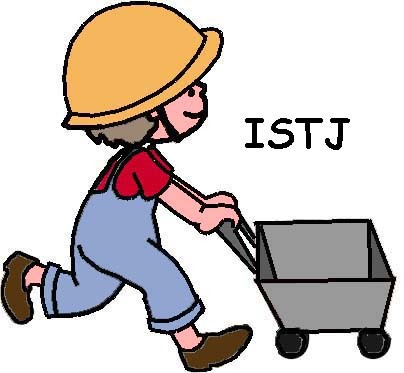 With their well-developed sense of responsibility, ISTJs do best when given schedules to follow. They want to get their work done before they play. Around new people, they’re cautious and often uneasy until they get to know them. When ISTJs know what to expect, they’re more relaxed. People of this personality type take a conventional view of life. While they enjoy solitary pastimes at home, they also appreciate traditional group activities such as scouting. Parents of these conscientious children can help them develop a more playful side of their personalities. Part 2 of this series describes the eight types of extraverted children. 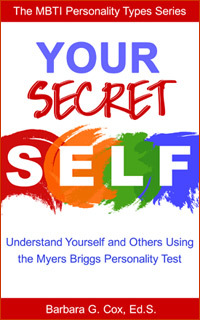 The Myers-Briggs personality test has been used to analyze many famous people. While most celebrities, past and present, have never taken a personality test, psychologists who are knowledgeable about typology believe they know what the outcomes would be. Introverts are usually deep thinkers, complex individuals who can be charming in public but are private in their personal lives. Introverts aren’t easily categorized or put in boxes. Most politicians, entertainers, and leaders of large organizations are extraverts. Part 1 of this two-part series described some famous extraverts, living and dead. This article, Part 2, is about famous introverts. 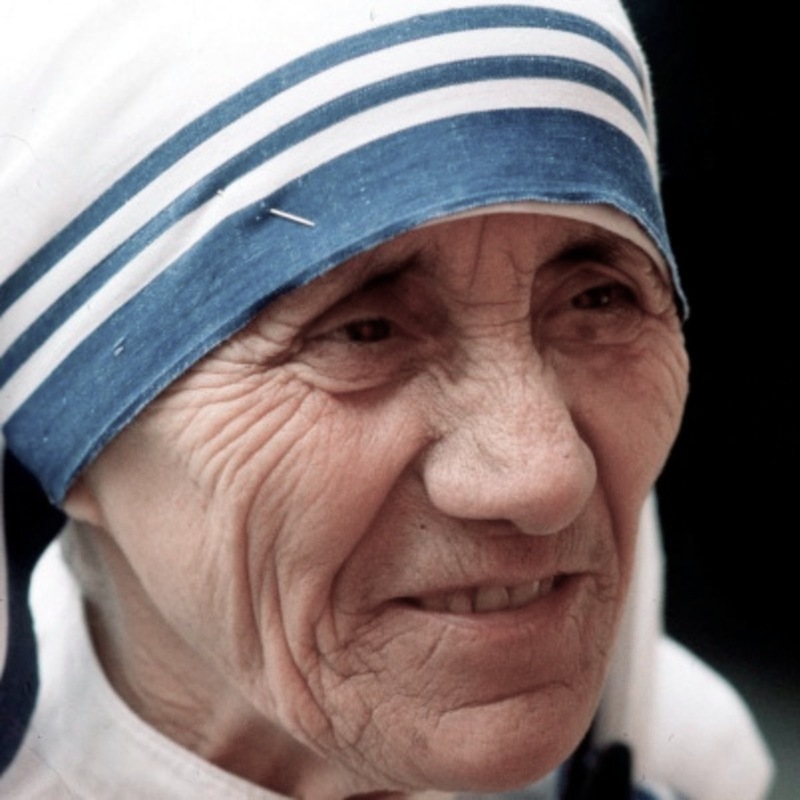 Mother Teresa was an ISFJ, a type called the “Protector.” True to her personality type, she was caring, down-to-earth and dependable. Working in the slums of Calcutta, India, she founded a charity that ran homes for the dying. Like most ISFJs, she was compassionate and dedicated to helping others. 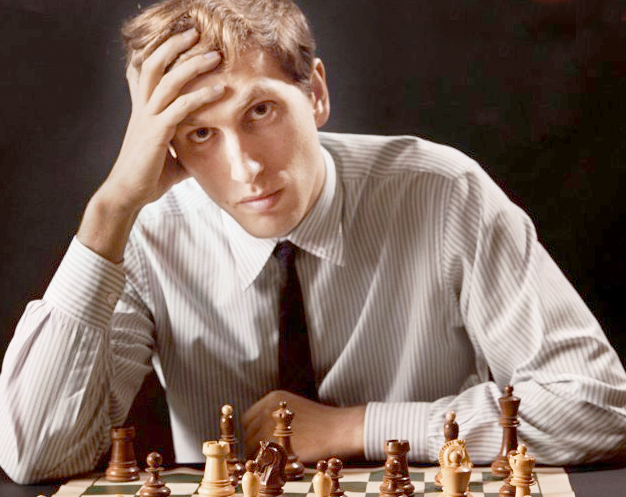 Bobby Fischer, world chess champion. was an INTJ—a Myers-Briggs personality type called the “Mastermind.” He was a brilliant and creative strategist, but a difficult man. Like many INTJs, he sometimes seemed so confident of himself as to appear overbearing. True to his type, he liked to design models based on theories he’d developed. The foremost advocate of nonviolent civil disobedience in the world, Gandhi was an INFJ who led India to independence in 1947. 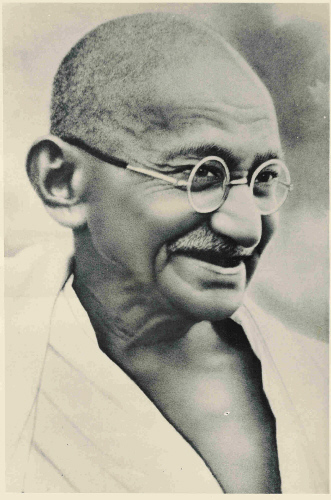 It was Ghandi who inspired American civil rights advocates struggling for racial equality in the 1960s. Like most INFJs, Ghandi was idealistic, determined and compassionate. His integrity was evident in everything he did. 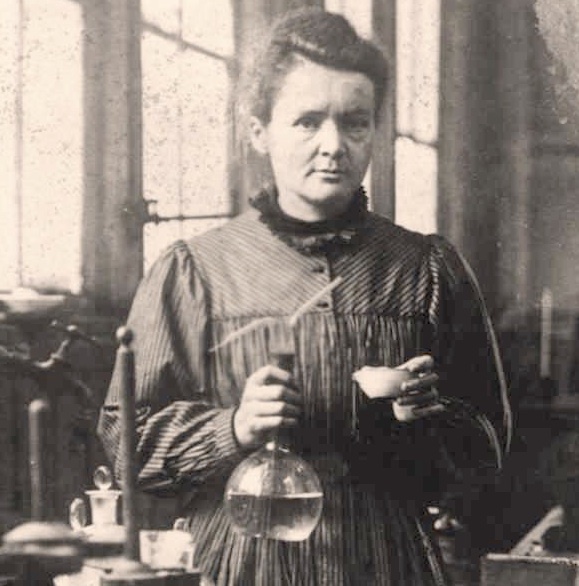 The INTP “Problem-Solver” personality type, Marie Curie discovered radium in 1898. True to type, she was quiet and modest. Exacting in her work, she was the first woman to win the Nobel Prize. Like most INTPs, she adopted an approach to life and work that was intellectual and independent. She was intensely private. 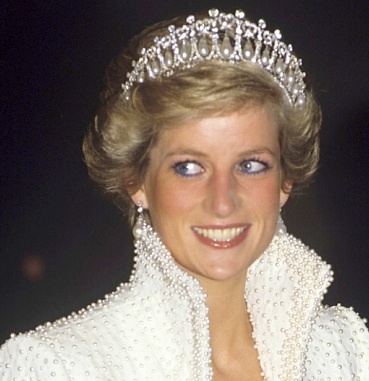 Princess Diana, beloved by millions, was an INFP noted for her compassion and global philanthropy. INFPs are soft-spoken idealists who dedicate themselves to helping others. They avoid conflict and try not to create waves, but when they see people behaving unkindly, they can become surprisingly assertive. 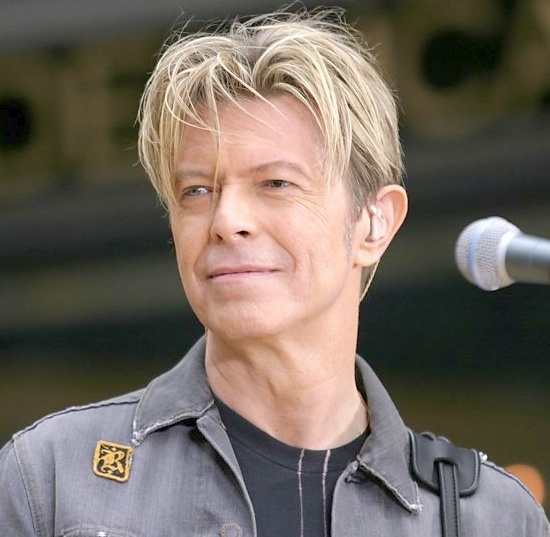 David Bowie was an ISFP, a personality type called the “Artist.” He was a world-famous singer, songwriter and actor with a reputation as a flamboyant celebrity onstage. In private, Bowie was like most ISFPs—a gentle, modest human being. He had a natural curiosity that fueled his creative spirit. 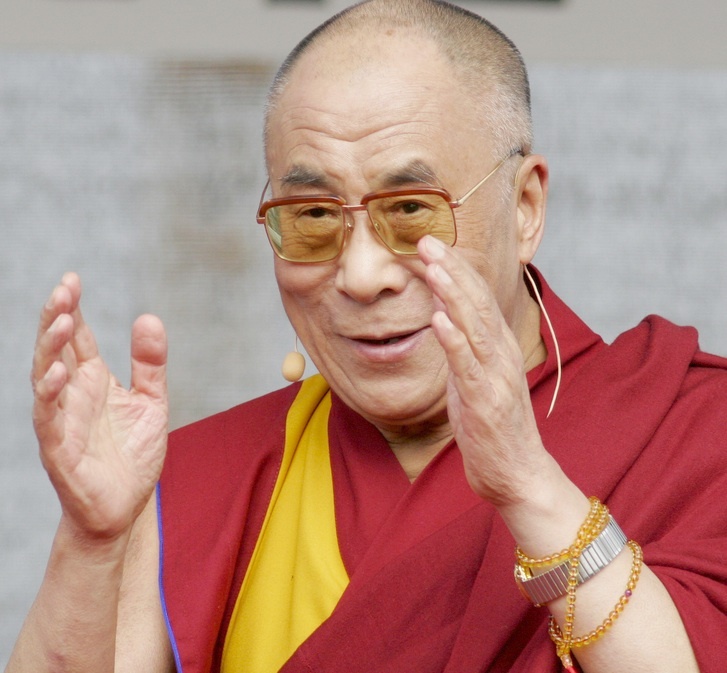 An ISTP, the Dalai Lama is a famous Buddhist leader. True to his personality type, he is practical, reserved, and expresses himself in deeds. He is an independent man with an analytical mind. His enterprising, adventurous spirit were evident in his flight to India after the Chinese invaded his homeland, Tibet. 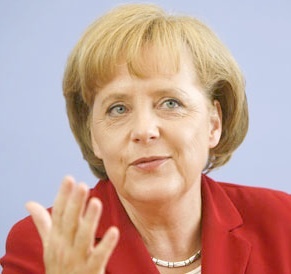 Angela Merkel, the Chancellor of Germany, is an ISTJ. As a political leader, she is organized, objective and demanding. While ISTJs know how to be gracious and articulate in social situations, at heart they are independent, private types. They don’t make decisions without first collecting detailed information. Animals are more complicated than most of us realize. We can appreciate the many sides of dogs and cats that live with us, but wild creatures are a different story. Because they live in their own worlds and we aren’t close to them, we underestimate their intelligence, intuition, and altruism. We think they’re simple beings. They’re not. They’re as varied as we are. This is an introduction to the introverted (I) members of the animal kingdom: the owl, sloth, deer, octopus, wolf, beaver, meerkat, and house cat. Unlike extraverted (E) animals, the introverts are generally quiet and often shy. Like most INTPs, owls have logical minds. They’re mindful and quiet. They’re solo operators and don’t socialize with other owls unless they’re mating. They don’t have patience with rules, even those laid down by other owls. While they’re not very friendly, they’re perceptive and wise. As pets, owls never lose their wild behavior unless hand-raised from birth. People who use owls for falconry can tame baby owls, but only if they bond with them from the time the owlets open their eyes. Taming these birds is a challenge. An owl is an independent creature and never becomes affectionate unless it’s hungry. Owners who allow them the freedom of their houses are likely to find plants knocked over and glassware broken on the floor. They also have to deal with owl droppings on their curtains and upholstery. Like human ISFPs, sloths are easygoing peace-makers. They take things as they come and live in the moment. In the company of other sloths, they are caring, mellow and considerate. While they have principles, they don’t make an issue of them. They avoid confrontations or standing up for their rights. While people think of them as lazy, what’s closer to the truth is that they’re just more laid back than humans. Some people keep sloths as pets. The can become quite dependent on their owners, and they’re gentle with kids. Since they move slowly, they’re no trouble to keep up with. However, they do need large living spaces and plenty of tall climbing equipment. They must be kept in a consistently warm environment to maintain their body temperature. They need special diets with just the right amount of trace ingredients, and their veterinary care is costly. Finally, owners should be prepared for the long haul, as sloths can live to be thirty. As ISFJs, deer are serene creatures, but they’re alert to everything in their environment. Their acute powers of observation help them avoid danger. They make themselves scarce during hunting season, avoid predators, and are even careful to avoid cars on busy roads. With their own species, they value harmony and show respect. The few people who live with them describe them as sensitive and trustworthy. Not many people have been able to keep deer as pets. If not reared from their early days of life, they remain wild. Occasionally, humans have rescued fawns and raised them by hand. When this happens, deer often become loyal pets, even making friends with other animals in the house. They can be house-trained if they’re given access to the outdoors. 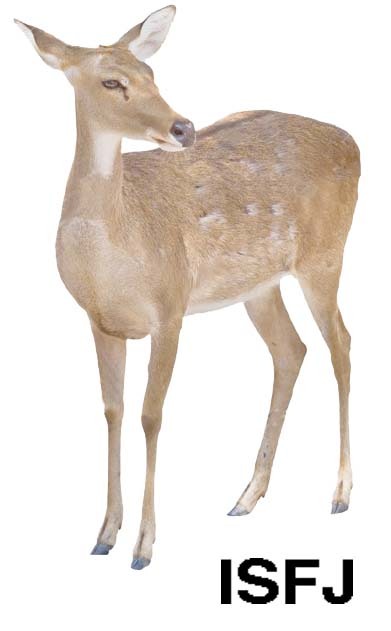 However, an indoor life is unnatural for deer. They need plenty of space to wander in and opportunities to run with other deer. 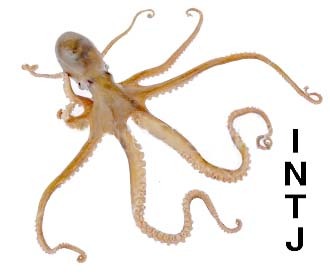 Does the octopus have enough personality to deserve a Myers-Briggs type? Like all INTJs, these sea creatures are independent, intelligent and creative. Octopuses are quite aware of their own sharp minds, solving difficult problems. And they’re smart enough to know when a challenge is too much for them. Unless they’re looking for a meal, they ignore other ocean life. They work alone. Marine biologists say that the octopus may be among the smartest ocean dwellers. Some move their arms in ways that copy the shape and movements of other sea animals. In captivity, they’ve been seen at play, much like children in a swimming pool. They grab toys in the water, then let them go in a circular current so they can catch them again. They escape from aquariums in search of food. They’ve even climbed into fishing boats and opened boxes to eat crabs. It’s unrealistic to try making a pet of an octopus. 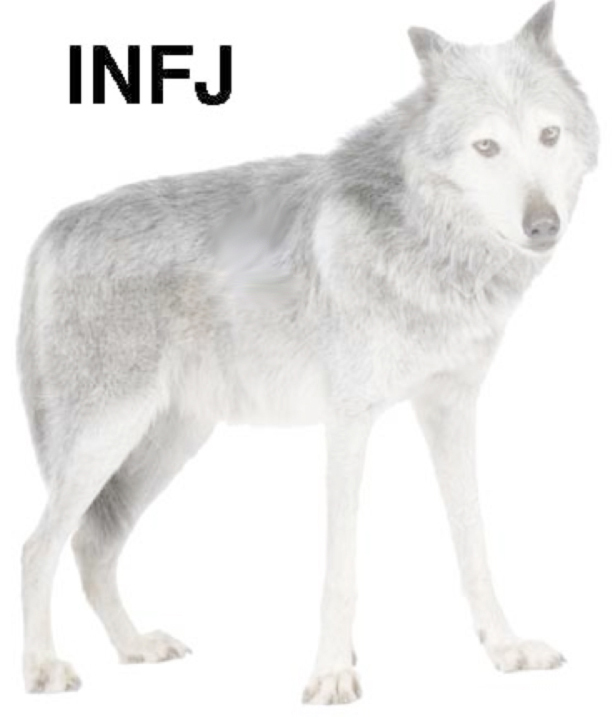 INFJ wolves, like their human counterparts, have morals and values. Often creative and inspired, they re skilled at sensing emotions in others, but they’re not likely to reveal much of themselves until complete trust has been established. Still, they are intensely concerned with the well being of their friends and families. They tend to remain mysterious and complex even when others know them well. Pack members see alpha wolves as protectors and natural leaders. Few people keep wolves as pets because socialization isn’t possible unless a wolf pup has been adopted within the first 2 weeks of life. For the first 4 months, the puppy needs to be kept away from other dogs in order to bond with owners. Pet wolves can become unpredictable and dangerous when they reach adulthood. These intelligent and dominant animals aren’t meant to live with humans. All wolves need 10 to 15 square miles of free space for exercise. They are running, hunting animals, always on the move. 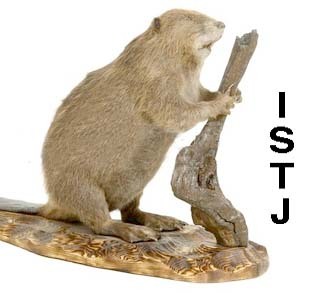 Like all ISTJs, beavers are logical, hard-working types. They’re organized and live by team rules. They have a reputation for taking a practical approach to everything. When busy building and maintaining their dams, they’re dedicated workers who will do whatever is needed to get the job done. Like their human counterparts, they aren’t always easy to get along with. Both males and females get into fights on occasion, and many have scars on their rumps from being bitten by other beavers. Beavers don’t make good pets. They need rivers to live in. Can they be kept in a pool? Only if the owner is willing to clean out the feces (poop), because beavers defecate in water. Any furniture in the house will be reduced to wood chips. And beavers will use their skills as busy workers to rearrange pillows and other household items. Then there’s the matter of size. Many grow to be more than four feet long and weigh over 50 pounds. Even zoos find beavers hard to keep. 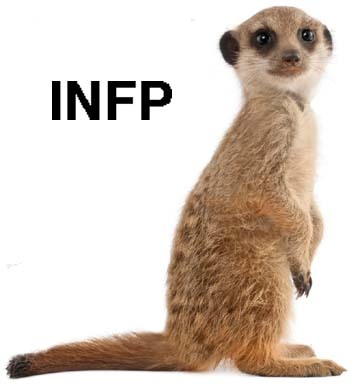 INFP meerkats are loyal to their families and friends. They stick together and live according to their values. Their behavior reflects an innate idealism and desire to coexist peacefully. They are curious about everything that goes on around them and are open to new experiences. However, when any of their family is threatened, they rise to the cause and get aggressive. Like most INFPs, meerkats are easygoing and friendly, but they have alert minds. In the wild, they guard against danger by giving one family member the job of sentry while the others search for food. Some people, drawn by media images of these furry creatures, adopt them as pets. Usually, the work and risks are more than they bargained for. While meerkats can be cuddly, they also tend to destroy household belongings and sometimes hurt children. Their special diets and veterinary care are expensive, too. As a typical ISTP Myers-Briggs type, the house cat is a study in contrasts. Cats are quiet and analytical, always trying to figure out how things work. But they’re easily bored. They’re keen to move on to the next adventure. As ISTPs, they’re often daredevils racing around or jumping off high places. If they were human, they’d be bungee jumpers. They’re live-and-let-live types, not particularly concerned with rules, regulations, or the good opinion of others. As pets, house cats have many of the same qualities as their wild cousins, including bobcats, tigers, and leopards. The pet cat is just a lot smaller and therefore less dangerous. However, pity the mice that think it’s safe to be around one. Pet cats have the same basic instincts as jungle cats. They stalk prey, sharpen their claws, climb trees, and leap from one surface to another with grace and beauty. ISTP cats are sometimes sociable, but often they’re aloof, enjoying their private space.